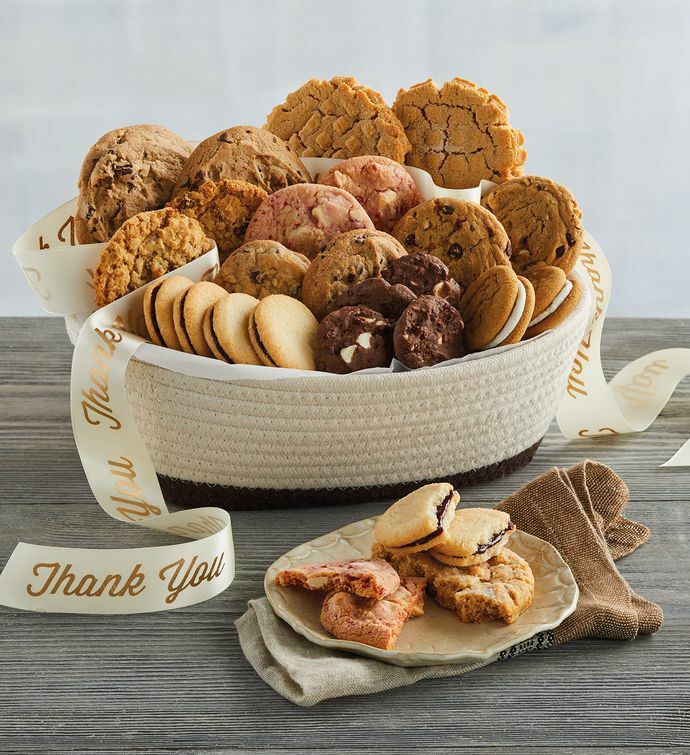 The Thank You Cookie Gift Basket is filled with delicious creations handcrafted in our bakery in the heart of Southern Oregon. The selection includes everything from white chocolate raspberry cookies and blackberry galettes to Moose Munch® Cookies and more. Each cookie assortment arrives in a beautiful basket finished with a hand-tied ribbon. Show your appreciation with the very best our gourmet bakery experts have to offer.